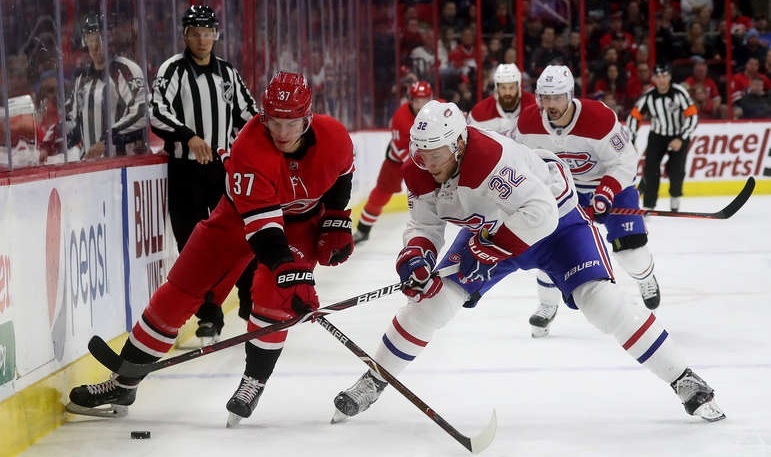 The Habs are past the halfway point of the season so it’s time for the second quarter grade report for their forwards. The team is off to a good start with a record of 22-14-5 to keep them in the hunt for a playoff position as of January 3rd. Players must have played in at least 5/21 games to receive a grade. B+ Max Domi. During the second quarter Max was not able to keep up the high level of offensive production he showed to start the season when he lept into the top 20 in league scoring. However, there are signs that his defensive efforts have been improving and he still leads the team in scoring. Domi’s stats in the faceoff circle are still below par, but considering his lack of experience at centre at the pro level, it’s expected and forgivable. I believe the opposition put more focus on Domi and the first line and it will take some time to readjust to his role as the first line pivot. B+ Andrew Shaw. Shaw is on pace to surpass his best NHL season statistically speaking. His focus was more on offence this past quarter. He has great;y surpassed my expectations. Unfortunately, he suffered a neck injury on the last game of 2018. There has been speculation that it may be linked to the concussion he suffered near the end of last season. B Jonathan Drouin. His statistics are practically the same as in the first quarter. He has had a reputation as a streaky player when it comes to producing offensively, although, like his linemate Max Domi, he did improve his defensive play a bit. This past quarter, he managed to score at least a point in 12 out of 20 games. Drouin is still on pace to significantly break his previous career-highs offensively. B Tomas Tatar. Tatar managed a fairly consistent second quarter in terms of his overall performance. His spot on the second line has been kept relatively intact. Tomas’ compete level remains at a high level while maintaining a sneaky opportunistic style of play. His grade, as you may expect, matches the one he earned in the first quarter. B Phillip Danault. Phillip was mired in a 17-game goal scoring slump that started in the first quarter. A couple of multi-goal and multi-assist games from the mid-December time period have helped him shake off that downturn, and outproduce his previous quarter’s numbers. 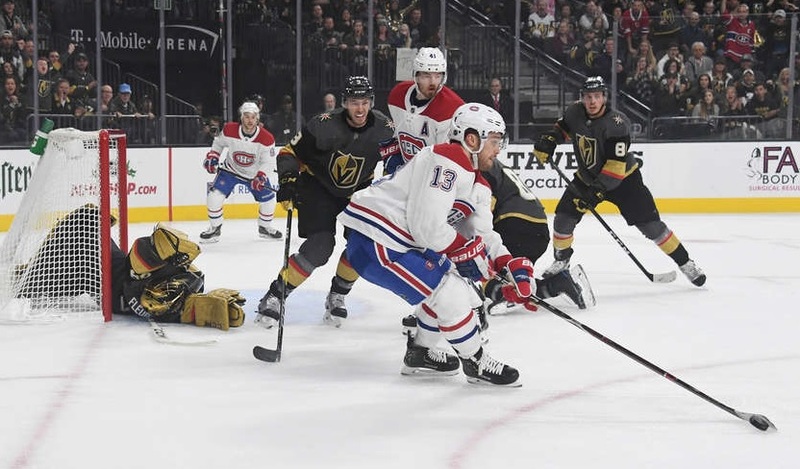 Danault’s defensive play has remained very good, but some say he may have been too focused on that side of the ice at the detriment to his offence. B Brendan Gallagher. Season after season, the team’s highest energy player remains Brendan Gallagher. During the second quarter, he suffered a drop in his offensive numbers. However, he remains unafraid to shoot the puck as he continues to lead the team in that category while still being on pace for his highest career numbers. It’s rumoured he has been playing hurt which if true would help explain his performance. B Jesperi Kotkaniemi. The Finnish rookie continues to play a strong overall game. The coaches sheltered him during the first quarter, but have slowly given him extra ice time and some time on the second power play unit. There was talk that the Habs were considering loaning him the Finnish junior team for the World Junior Championship, which would have been beneficial for his development, especially since the team earned the gold. However, the organization’s lack of depth at centre left them little choice but to keep him with the big club. B Kenny Agostino. Since his call up during the first week of November, Kenny has blossomed in the fourth line. His role as an energy player has earned him his ice time, while his hockey smarts and persistence in that role have helped make that line very effective. He has even chipped in a few points when possible. It’s surprising that Agostino is with his fourth NHL organization, and that he had previously never managed to play in more than eight games in a season. He has already surpassed his career totals for games played, goals, assists, and points. B- Paul Byron. Byron has rebounded well from his lower-body injury that he suffered the previous quarter which caused him to miss 12 games. His speed makes him an ever-present threat to defencemen, especially on the penalty kill. I would like to see Paul shoot more as his shooting percentage is always high and with more shots, he may produce a little more. C+ Artturi Lehkonen. Artturi’s offensive game has remained steady with the previous quarter. Like a few other forwards, he’s also on pace for a career season offensively. Lehkonen seems destined to plateau as a third liner who can occasionally fill in on the top two lines when injuries occur. His offensive abilities seem inconsistent, as he misses scoring opportunities that more talented players capitalize on but scores on other chances that you would not expect him to. C+ Michael Chaput. 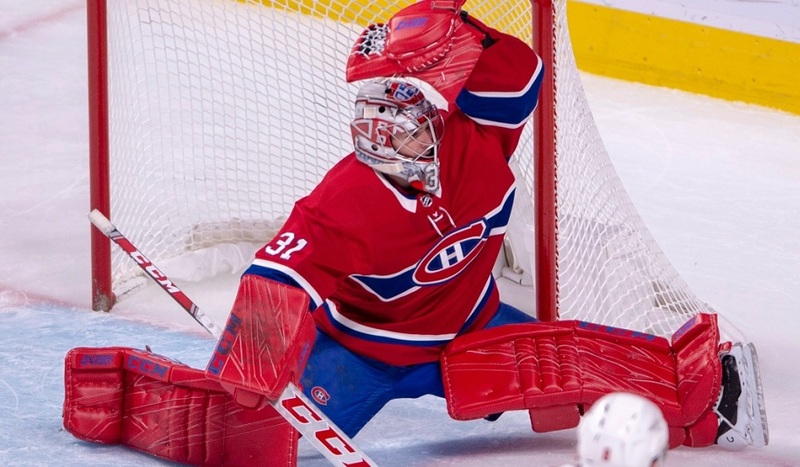 Since his Habs debut on November 22nd, Michael has made the most of his opportunity. Chaput had an excellent training camp and exhibition season but was sent down to the AHL while more experienced prospects were given a chance. However, the loss of Jacob de la Rose on waivers opened up a spot for Michael. On the fourth line, he has fit in well, especially at taking faceoffs where he has been the team’s second best player. Chaput is still looking for his first goal but he remains solid in the defensive zone most nights and providing energy on the fourth line. C Nicolas Deslauriers. Nicolas bounced between the fourth line and the press box during the second quarter. When he does play, he usually generates a lot of hits despite his low ice time. After getting the green light by the doctor to remove his face shield, he has started to play a tougher game, as evidenced by the fight he participated in. D Matthew Peca. Matthew barely made the cut off mark for a grade this past quarter. When he has been in the lineup he has produced as his two goals and two assists in six games is impressive considering his limited ice time on the fourth line. However, the reason he has been in so few games is because he has been a healthy scratch. His versatility to play either centre or the wing is helpful. The expectation before the season started was that Peca would seize the fourth line centre position, but that role went to Chaput in the second quarter instead. F Charles Hudon. A healthy scratch for most of the second quarter, Charles has earned a failing grade. His offensive skills are there but he has not produced anything during his few starts. His lack of defensive awareness as evidenced during the first quarter have likely left the coaching staff unable to trust him in a bottom six assignment and there have been no chances for him to be slotted into the top six. Rumours have begun that his agent has requested a trade, so it’s possible he may be moved or waived to the minors when all the team’s injured players return.